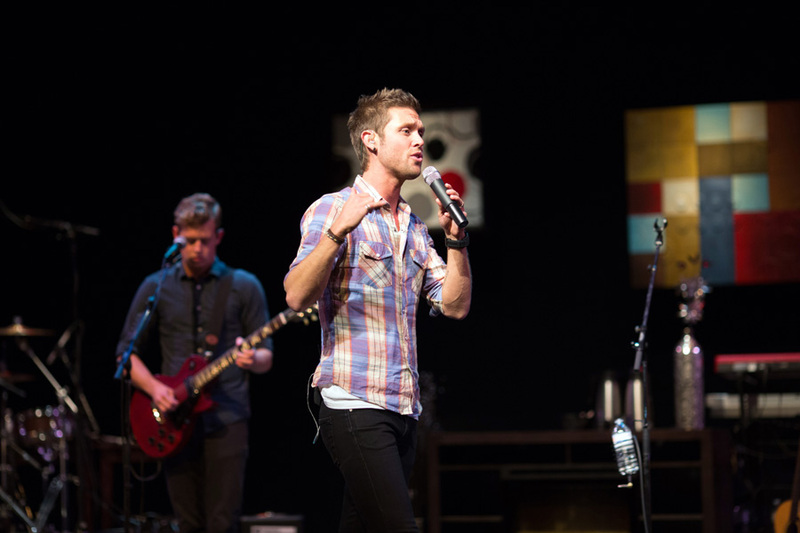 Andrew Allen played two sold out concerts at the Vernon Performing Arts Centre last week. I am not really sure where I had heard Andrew's music but it quickly became evident that I had heard some of these songs before. Songs like, "Loving You Tonight" and "I Want You". I checked Youtube and saw that "Loving You Tonight" has close to 4 million views. Impressive to say the least. But what was more impressive was his energy and eagerness to deliver a stellar performance for his home crowd. Andrew Allen grew up in Vernon and starting his music career doing small gigs at our local coffee shops. The stage at the performing arts centre was brilliantly built up around a coffee shop setting, with a barista serving people coffee throughout the show. Couches were set up along the sides of the stage. The patrons would then sit here, sip their coffee and enjoy the show. Andrew spiced up the show with dancers and several solo artists. Among them, Brooke Ritchie. Brooke just released her second CD for which I shot the cover photo. Great show Andrew. We all walked out in a great mood.